For quite some time, Verizon has been the go-to major carrier if you wanted to buy an unlocked phone in the US. That’s because Verizon agreed to sell its devices unlocked after winning an auction of wireless spectrum offered by the FCC in 2008. But according to a report from CNET, Verizon’s policy is changing. The nation’s largest wireless carrier said Monday that it would begin locking the phones it sells to consumers, which will prevent them from using a SIM card from another carrier. Initially, the phones will be unlocked as soon as a customer signs up and activates the service. But later in the spring, the company will begin the practice of keeping the phone locked for a period of time after the purchase — in line with the rest of the industry. Gizmodo has reached out to Verizon for a statement on the new policies as well as further details on the rollout plan. At the moment, there doesn’t appear to be a public announcement about the new locking policy. When this story was published, Verizon’s website stated that it does not lock 4G LTE or most 3G devices. To be clear, most of Verizon’s primary competitors engage in some sort of locking scheme for devices that haven’t been paid off and they often require a waiting period to take the device to another carrier after it’s been fully paid for. That’s not the issue. The problem is that Verizon explicitly agreed not to lock its devices in exchange for being granted spectrum by the FCC. A spokesperson for Verizon told CNET that, “This change does not impact the spirit of that agreement as it is designed to deter theft by those who engage in identity theft or other fraud.” We’re not sure what that means, but Verizon declined to tell CNET whether it has been in contact with the FCC. We’ve reached out to the FCC to ask if the agency has had contact with Verizon and if it’s still obeying the terms of the agreement. 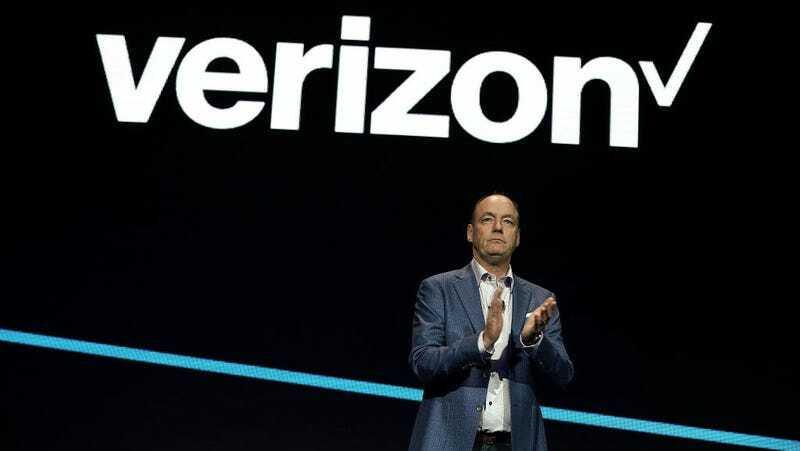 If Verizon executives truly feel they can get away with this, we can think of at least one person who might have signaled that the company would be in the clear. Depending on how long Verizon plans to keep its phones locked, this change may not wind up being a big deal for many of its customers. Some people who unwittingly purchase a locked device and try switching out the SIM card while traveling might find themselves in an annoying situation, but for the most part, this isn’t the end of the world. This, however, appears to signal that Verizon thinks it can just do whatever it wants with Sheriff Ajit Pai on duty, and it shows that Verizon doesn’t keep its promises. So, when Verizon says it “strongly supports net neutrality and the open internet,” remember that time it said it would abide by the rules of an agreement it’s spent the last ten years profiting from. This is an industry problem which becomes a Verizon problem because our phones have been unlocked all the time. Armed robberies were up more than 200% in the last year over the year prior. Just this weekend, four armed, masked men, stormed into one of our locations and held employees at gunpoint as they loaded phones from our inventory into a truck. We need to protect our employees from criminals with guns and protect customers from criminals who try to use their identities to fraudulently purchase phones.